The hippocampus is another part of the limbic system that sends information to the amygdala. One of the memory processing centers of the brain, the hippocampus interacts with the amygdala when a person has memories with emotional ties. 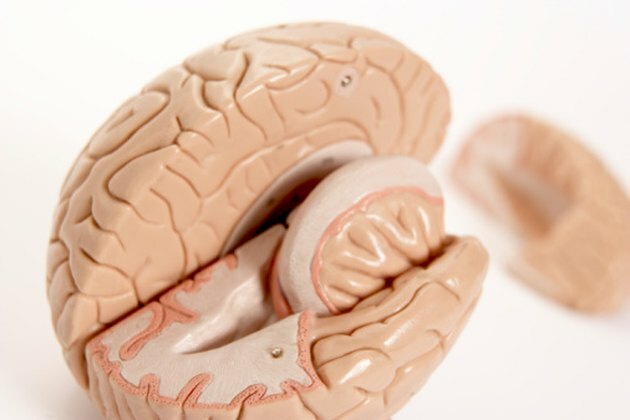 The Canadian Institutes of Health Research adds that the connection between the hippocampus and amygdala "may be the origin of strong emotions triggered by particular memories," which explains emotional responses to traumatic memories. The ventral tegmental area is also involved in emotions and love, particularly in how a person perceives pleasure. Dopamine pathways are located in the ventral tegmental area: dopamine is a neurotransmitter involved in mood, and increased levels elevate the person's level of pleasure.